Calinda Brown was living in Ottawa when she decided to apply for the Master of Public Administration program at Dal. After working in federal politics, most recently as a legislative assistant to an Member of Parliament, she decided she wanted a career in public policy. For Calinda, an interest in policy is an interest in social issues. One of her passions is affordable housing. While in Ottawa she chaired the board of directors for Centretown Citizens Ottawa Corporation, a non-profit housing organization with a unique, tenant-directed model. CCOC owns over 50 properties where market-value renters live alongside people in affordable housing units. For her internship, she got hands-on experience in policy development and implementation, working in the policy and advocacy unit of the Atlantic Canada Opportunities Agency. 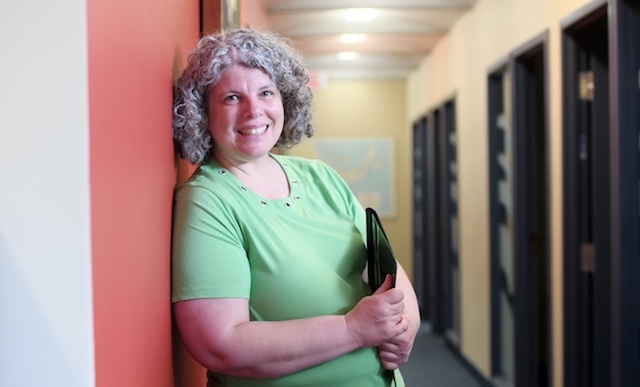 Her team works with agencies in Nova Scotia, collaborating on issues such as immigration, retention of foreign students and the province’s emerging ocean technology sector. After her internship, she stayed on part-time for the second year of her degree. Calinda is graduating with the Guy Henson Gold Medal in Public Administration, awarded for scholastic achievement, personal integrity, social justice and professionalism. To celebrate her graduation, she has a trip planned to Florence, Italy, where she’ll race a dragon boat with a team made up of breast-cancer survivors.